L. Alison Heller grew up in Connecticut and attended Bates College in Maine. After graduation, she wandered dreamily around the eastern seaboard, temping and interning and shelving books, trying a little of this and a little of that, before landing in Chapel Hill, North Carolina. Having hit her limit for dreamy wandering, she enrolled at the University of North Carolina School of Law. In 2000, she graduated from UNC with honors and moved to New York City, where she toiled in several law firms, growing increasingly nostalgic for those days of dreamy wandering. Alison opened her own family law and mediation practice in 2006 to help couples divorce with their sanity intact. 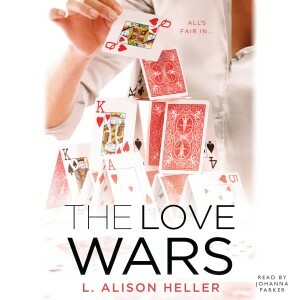 Alison’s first novel, THE LOVE WARS, will be published by Penguin (NAL) in May 2013. Her second novel, as of yet untitled, is scheduled for 2014.